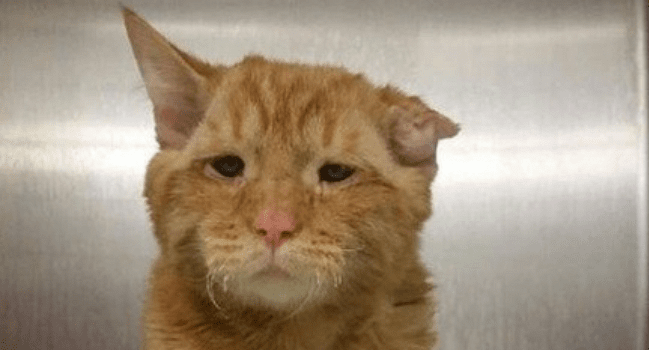 With a crushed spine, cauliflower ear, and extra skin on his face that gave him a sad look, BenBen was always passed over and scheduled for euthanasia. He was called The Saddest Cat on the Internet. 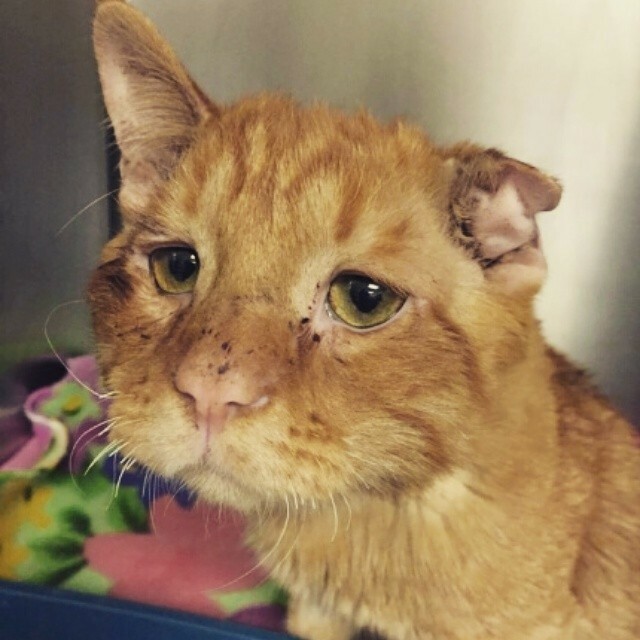 With a crushed spine, cauliflower ear, deep lacerations, and extra skin on his face that gave him his signature look, he was continually passed over at the BCSPCA shelter and was scheduled for euthanasia. 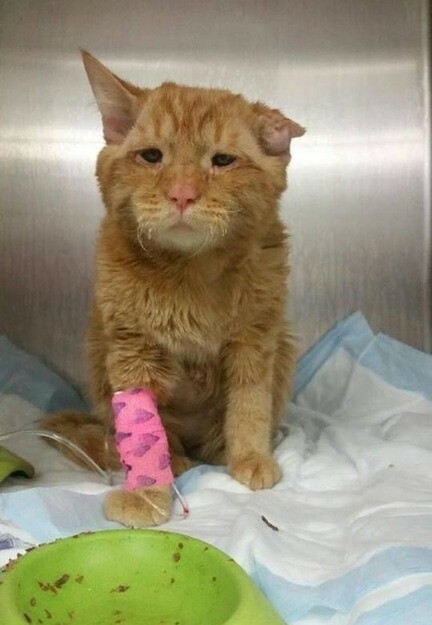 The kitty, which staffers thought had been attacked by a large animal was paralyzed, and as the day grew closer to his final day, he stopped eating and drinking, almost as if he knew he chances for a happy life were over. Then a miracle happened. 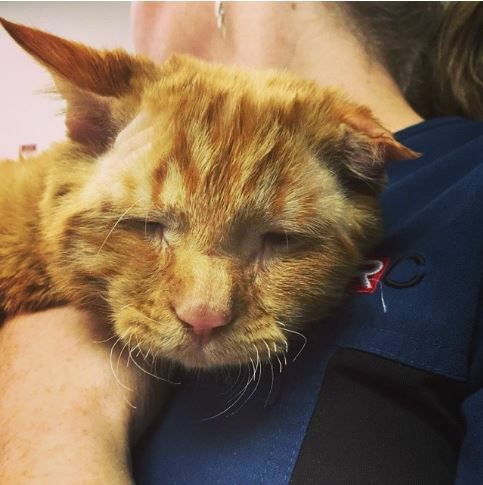 A woman who worked at an ER vet clinic heard BenBen’s story and knew she needed to save him. With little time to spare, the woman and her boyfriend adopted him, managing to get all the necessary paperwork completed just under the wire. They brought him home and, within the hour, there were purrs and cuddles galore. 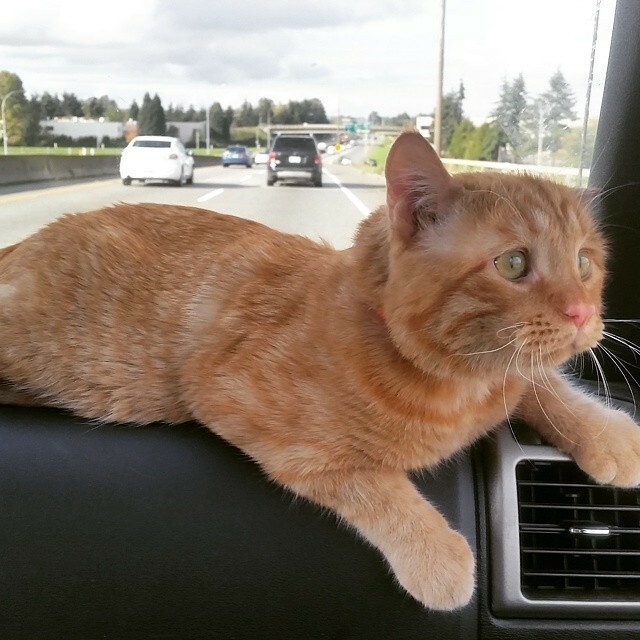 BenBen knew he had a forever home. 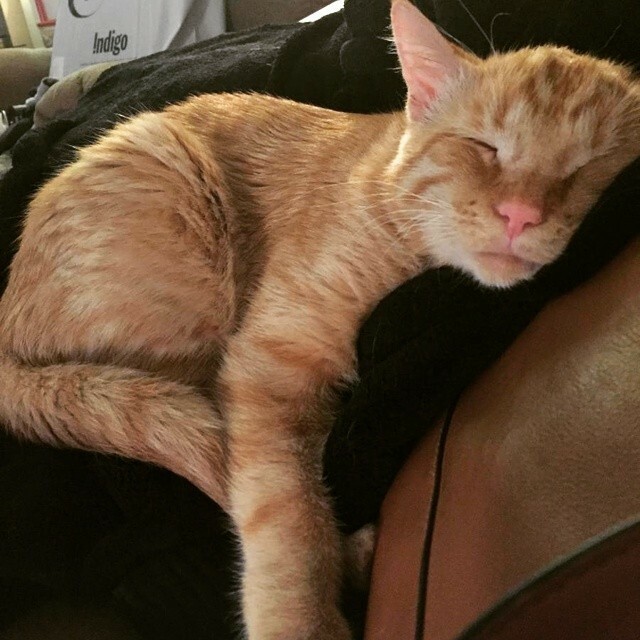 BenBen, the cat that no one wanted, that everyone thought would never walk again, is now happy, healthy, and, yes, even runs. 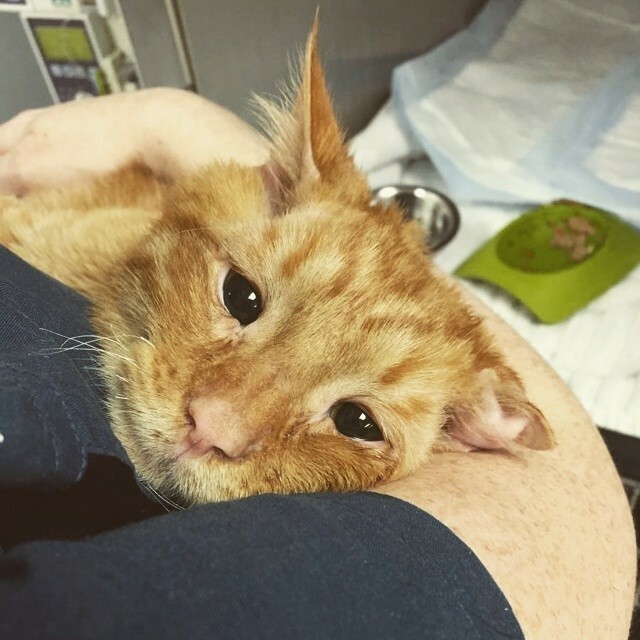 His owners are so inspired by BenBen’s story and the outpouring of love and support he has gotten from around they world, they are hoping to help other strays and set up a GoFundMe page just other animals in need. 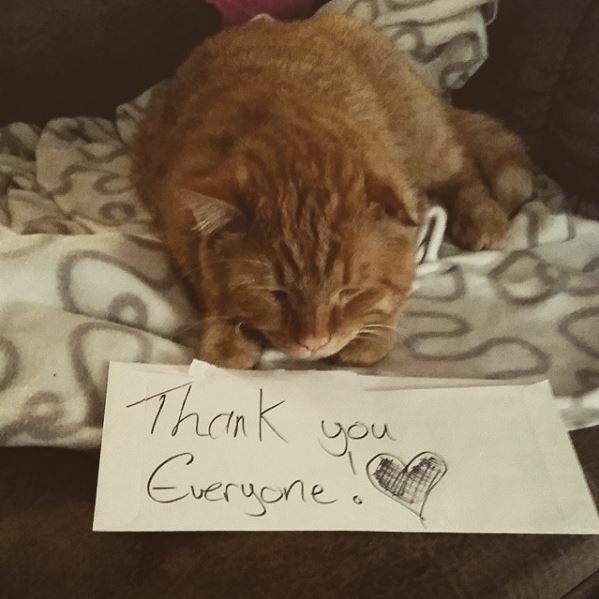 While he may still look like he is The Saddest Cat on the Internet, it is clear he may now be the happiest cat in the world. To learn more about how you can support BenBen’s GoFundMe page, click here, and to follow his adventures, check out his Facebook, Instagram, and Twitter pages.